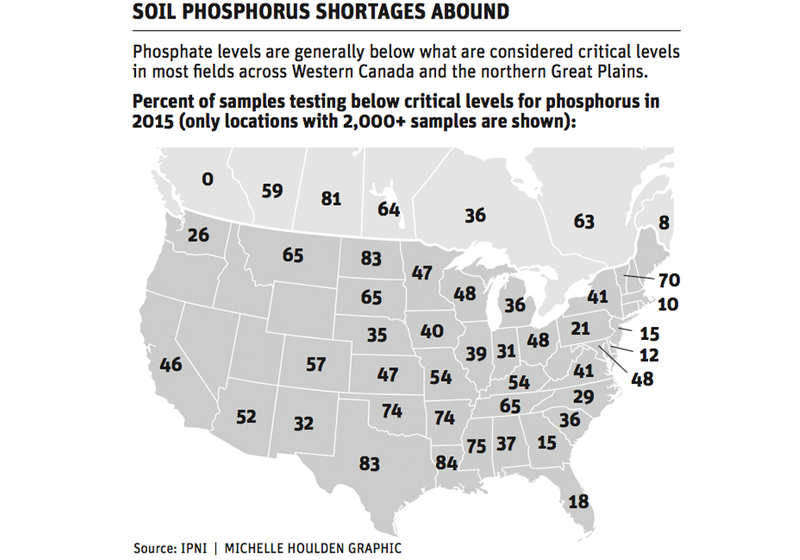 I fear phosphate is the nutrient that is most deficient on farms across the Canadian Prairies and the northern U.S. Great Plains. It doesn’t act like nitrogen, which shows visual deficiency symptoms across the field when missed. Instead, phosphate deficiencies are more subtle and usually not noticed. In fact, I have seen what I would identify as significant deficiencies only four to five times in my career as an agronomist. Interestingly, three of these fields showed up in the same year — 2009. If you recall, fertilizer prices spiked in 2008 to the point where many growers simply didn’t apply their phosphate — and the sky didn’t fall in. As a result, some farmers eliminated their phosphate again in 2009. That year, I was called out to investigate fields that showed very slow growth compared to neighbouring fields. After investigation, soil and tissue sampling, I determined the stunted growth was due to phosphate deficiencies. The thing is, we have been removing more phosphate from our fields than we have been applying for years. A bit of a history lesson shows that phosphate was the original fertilizer used on the Canadian Prairies and the northern U.S. Plains. 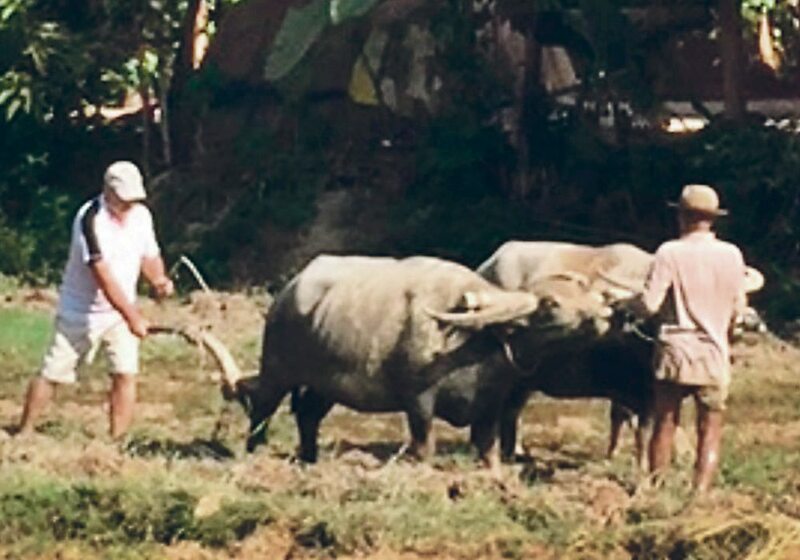 The product, 11-48-0, was introduced by Cominco as Elephant Brand Fertilizer. Farmers found that applying this product gave immediate results. Research work determined that 50 pounds of this product, or 24 lb. of P205, per acre applied with the seed was a preferred rate to apply. Also, it was easy for farmers to calculate because fertilizer was sold in 50 lb. bags in those days, so the rate was a bag an acre. For various reasons, this rate hasn’t changed a lot over the years. 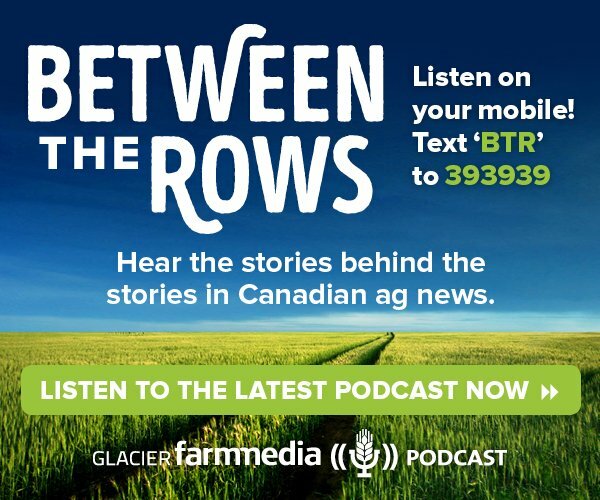 Farmers don’t see big visual differences, and with wider row spacings, the safe applied rates in the seed row are limited for crops such as pulses, flax and canola. The result is that while yields have doubled over the last 40 to 50 years, phosphate use has changed little since the late 1970s. 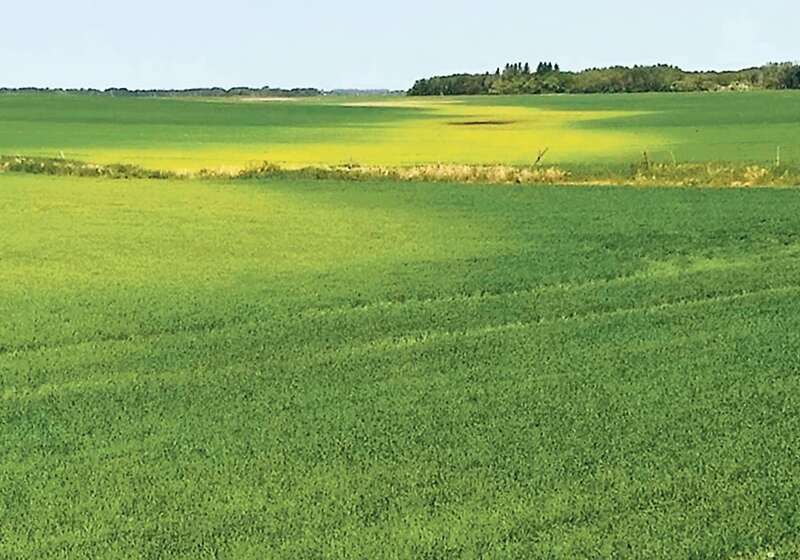 Rigas Karamanos has documented the trend of application for both products in Western Canada and the ratio has gone from a 1:1 nitrogen to phosphate ratio in the 1970s to approximately 3.5:1 today. The fact is we are removing 400,000 to 500,00 more pounds of phosphate than we apply. This should concern producers, who have for the most part stopped the practice of mining organic matter with the adoption of reduced tillage. Today, on many farms where no-till is practiced, we have seen an increase in organic matter. Sadly, this is not the case with phosphate. We are still mining phosphate out of the soil. 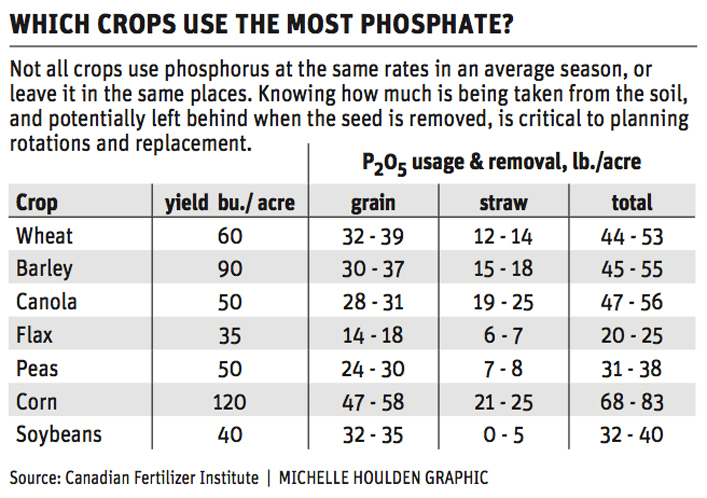 While phosphate often limits yields, it usually only reduces them by two to five bushels per acre. These yields will increase with the addition of nitrogen but often show the same two to five bu. 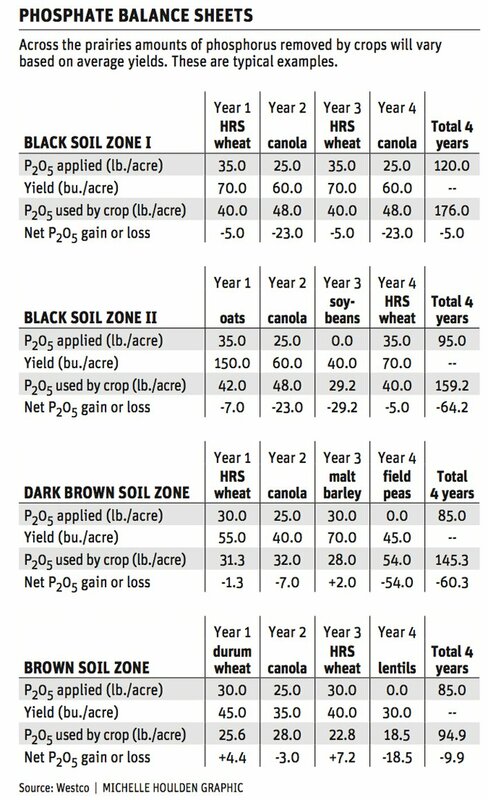 per acre reduction at various nitrogen levels. The 4Rs fertilizer system is no less important for managing phosphate as we consider the right source. The vast majority of phosphorus is applied across the Prairies as monoammonium phosphate (MAP) or products such as 12-51-0 or 11-52-0. This product is very flexible and easy to use, is safe for seed-placed applications and can be blended with most other granular products. 10-34-0 is the most common liquid product used. 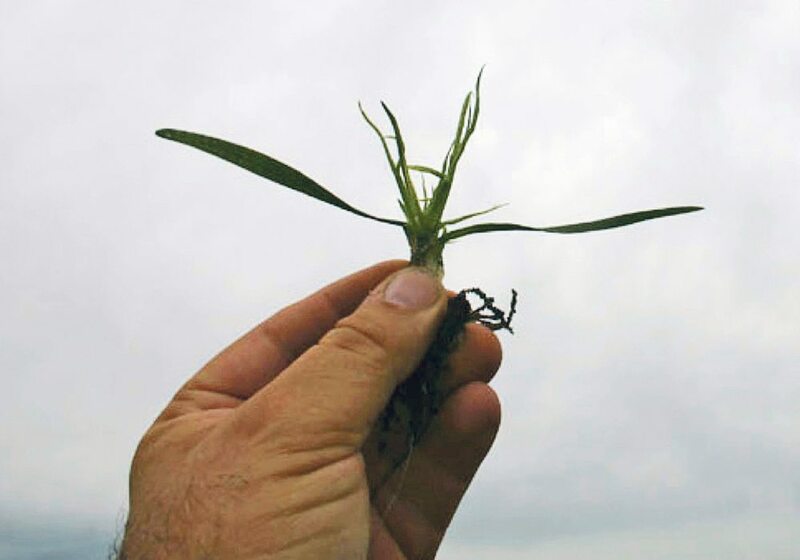 While being an effective form of fertilizer, due to its increased nitrogen content, it has been found to cause more seedling damage when placed in the seed row. However, it has also been found to be safer in corn than an equivalent application of MAP. Diammonium phosphate is also available. 6-24-6 is another liquid product. It is promoted as being available to plants for a longer period of time than MAP or APP. While studies have shown this to be true, the difference is only a matter of a couple of days, and this occurs before the plant is taking up phosphorus. 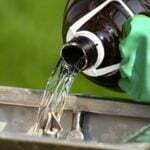 The application of 6-24-6 is usually at 3.5 to four gallons per acre, which is only providing eight to10 lb. of phosphate per acre. If this is the only source of phosphate, the soil will be soon depleted. Typically found as 0-3-0 to 0-5-0, it is a granular product also known as soft rock phosphate. The phosphate is not very soluble so three to five times the equivalent P205 may be required to get a similar response as compared to MAP. This product has the advantage of being allowed in organic production. 0–46–0 is a granular product that shows up from time to time. It is an excellent product for seed row application. TSP contains only phosphate because it is produced by reacting phosphoric acid with additional high-grade phosphate rock. TSP is also a solid plant nutrient product, but it is hydroscopic or absorbs moisture and therefore cannot be blended with some products such as urea. There are a number of products that contain other nutrients besides nitrogen in their formula. These include: MicroEssentials S15 (13-33-0-15S); SZ 1(2-40-0 10S 1Zn); S10 12-40-0-10S product comprised of monoammonium phosphate (MAP) plus ammonium sulfate (AMS) and elemental sulfur in equal proportions, as a sulfur and phosphate fertilizer source. This product is promoted as an all-in-one alternative to a MAP and ammonium sulphate (AmSul) blend. While safer in the seed row compared to such a blend, it is not as seed row safe as MAP alone. 16-20-0-13 is a homogenous granule containing monoammonium phosphate (MAP) plus ammonium sulfate (AMS). This product has been used for years in high sulfur demanding crops such as canola. 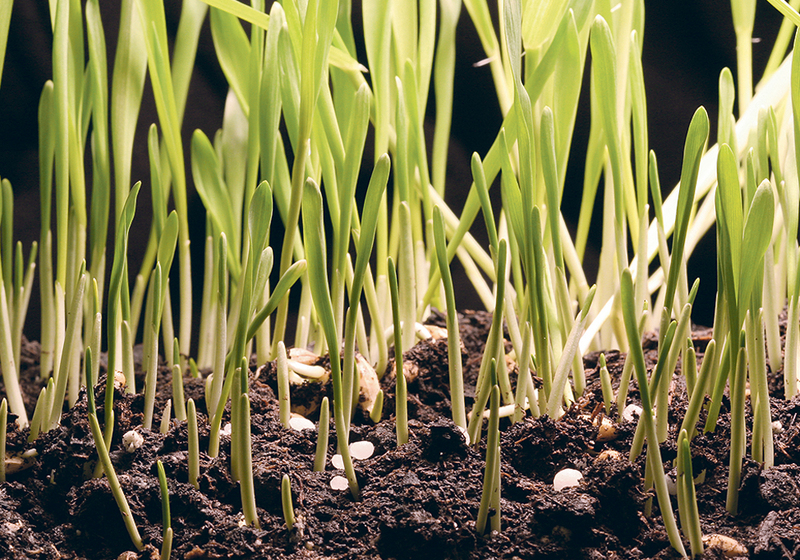 While now mainly used in turf, it occasionally shows up in agricultural applications. 12-40-0-6 is a homogenous granule containing ammonium phosphate sulfate and zinc sulfate. This product has many of the advantages of the other, similar products. This is a homogenous granule containing ammonium phosphate, ammonium sulfate, calcium sulfate and zinc oxide. Look to the individual product characteristics for an idea how it works. 5-20-0-10Mg (struvite) is a phosphate product derived from urban water treatment plants in North America. The continuous release granule formulation has a low salt index and offers a season-long release of nutrients that minimizes tie-up and reduces the risk of leaching and runoff. However, due to the relative high cost of this product, it probably fits best as a “top-up” product for seed row applications in crops such as canola or in a high-value crop such as potatoes in high pH soils. There are two other products that must be mentioned when discussing phosphate. PB-50, penicillium bilaji, sold as JumpStart or TagTeam, is a phosphate-solubilizing inoculant. This organism releases organic acids that acidifies the area around it. It solubilizes calcium phosphates, for example, and makes that phosphorus more available to the plant. However, because it “mines” phosphate out of the soil at a rate of approximately 10 lb. annually, you have to remember that this phosphate has to be replaced at some time so as not to risk creating severe deficiencies. Many crops form a relationship with arbuscular mycorrhizae (AM), which are the combination of particular fungi with crop roots that enhance the uptake of phosphorus from the soil. These fungi are quite diverse and appear to be crop specific. At this time, there are few published trials that indicate commercial AM products are effective in the field. The performance of either of these biological products will vary with individual soil characteristics in a field and the environment under which they are used. The second R is the right rate, is going to depend on three factors, including the crop that is being grown. For many of the crops grown in our region, 50 lb. 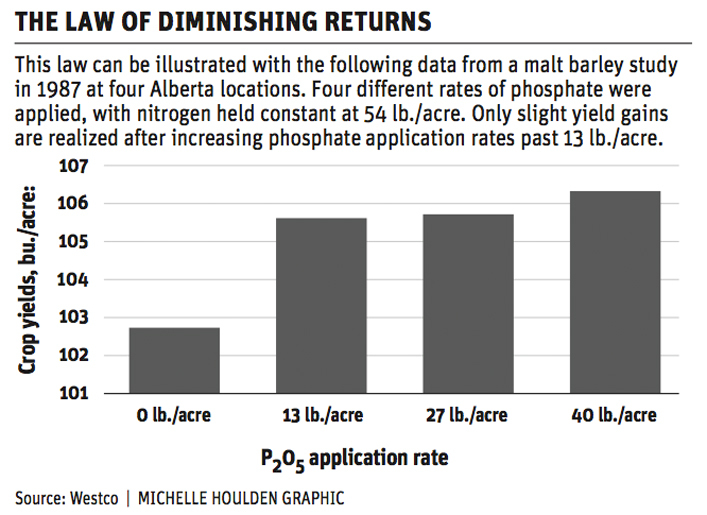 per acre seems to be the sweet spot for required phosphorus. Most fields in these areas do not have that amount of phosphate available, so the right rate would be the amount required, less the amount that is plant-available in the soil. The best way to determine the amount of plant-available in the soil is with a soil analysis. However, with phosphorus, the extraction method used by a lab may not relate to what is plant-available. North American labs use a variety of extraction methods: Mehlich, Olson (bicarbonate), Bray 1 (weak), Bray 2 (strong), Morgan, Miller-Axley and Modified Kelowna. Each have unique soil parameters, including soil pH, where they work best. Miller-Axley (low soil pH), Olsen, Kelowna and Modified Kelowna have all been calibrated in western Canadian field studies. Other tests are not recommended for deriving accurate recommendations in these locations. 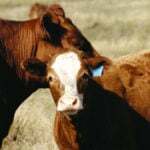 Roughly speaking, there is a very high probability of getting a yield response from applying phosphorus if the test shows less than five parts per million, or 10 lb. per acre, of the ingredient in the top six inches of the soil. Anything in the five to 10 p.p.m. area has a 75 percent chance, 10 to 20 p.p.m. has a 50 percent probability and more than 20 p.p.m. has a 25 percent chance of getting a yield response for most crops. The third R is the right time. From my perspective, there are very few alternatives. The best time for most situations is at seeding. This is best applied either as seed placed or as a side-dressed placement. I would strongly recommend seed-placing 10 to 15 lb. of phosphorus. 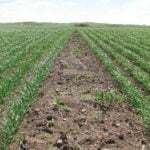 The remainder can ideally be placed as a side band or midrow band with nitrogen and other nutrients or as a separate banding operation in the spring near seeding. The second timing is in the fall as a mixture or dual band with nitrogen. Again, I would strongly recommend seed-placing 10 to 15 lb.. However, research has shown dual bands of nitrogen and phosphorus in the fall have performed well. The fourth R is the right place. I think you can see that there are only two “right places”: in the seed row and/or in a band adjacent to the seed row or placed in a band with nitrogen. 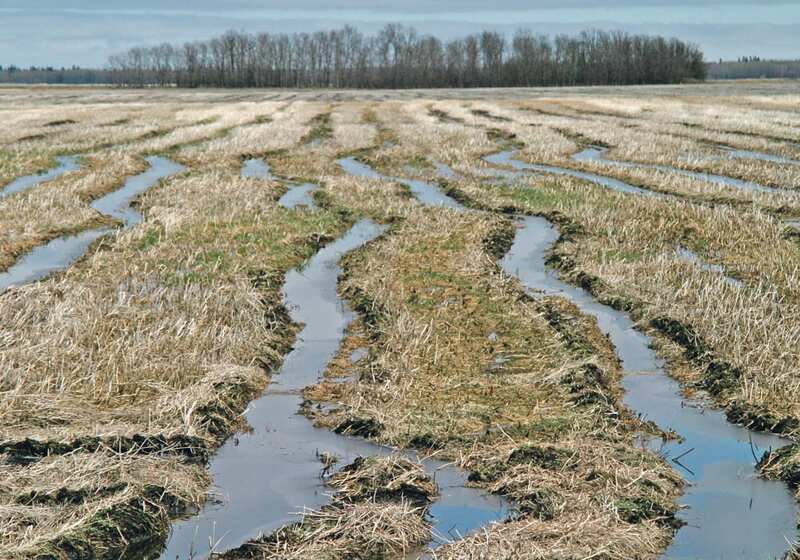 Quite a bit of research shows that a broadcast and incorporated application is only 25 to 30 percent as affective as banded applications in soils that are moderately or highly deficient. Thom Weir, PAg. is an agrologist with Farmer’s Edge. 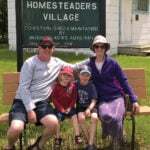 He can be reached by emailing thom.weir@farmersedge.ca.